Have you ever eaten something, paused, and thought how your palette will never be the same again? Wondered how throughout the years, no one had shared these flavors with you? Realized in an instant, that this is a dish that you would serve over and over again? That feeling is rare. But I found it. Mid-week, this is a meal on it’s own. For something fancier, serve it as a side. It’s perfect for your Paleo Thanksgiving menu too and credit goes to Juli of PaleOMG for dreaming this recipe up and publishing it on her site and in her awesome book. I'm very excited to dive deep into this #Paleo cookbook. this might inspire the #whole30 variety, I've been seeking. I don’t say this often, but you should buy this book! My copy hasn’t left the kitchen table since the first time I turned the pages and it’s a great reminder that living a healthy lifestyle and a healthy lifestyle can be one and the same. 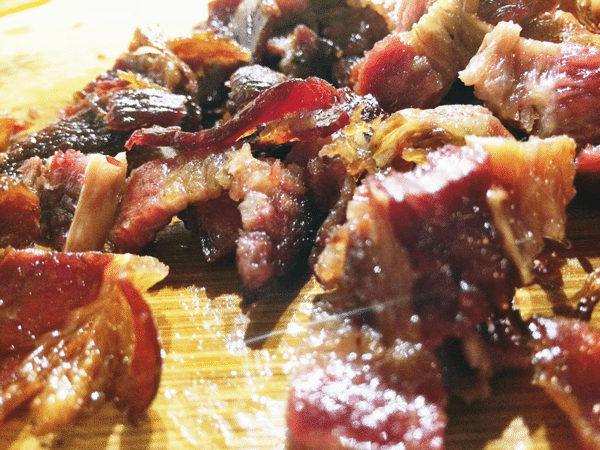 Of course, I needed organic bacon for this, so I reached out to my friends at KOL Foods and told them about this recipe. If you are not familiar with KOL Foods, let me tell you a little more. 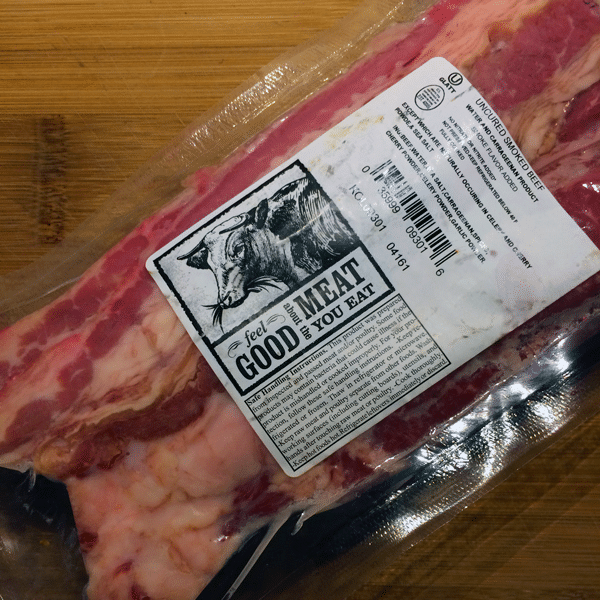 They are the nation’s only provider of 100% grass fed and organic meat. The animals they raise are not finished on a diet of corn. It’s grass until the very end. 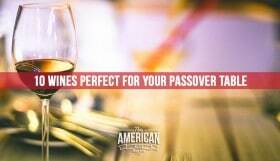 Not only are they grass fed and organic, they are certified kosher and ship to your door. Grass fed animals have eaten nothing but their mother’s milk and fresh grass from the time they were born and organic certification means the meat is hormone free. Keeping a kosher diet doesn’t mean you can’t keep a healthy diet or go paleo, which is why I always prefer to cook with KOL Foods meat, poultry and fish. You can see all of my KOL Foods recipes here. 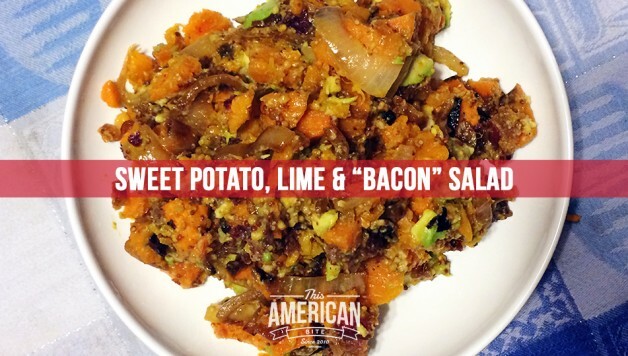 This sweet potato, lime and bacon salad is paleo comfort food. There’s creaminess and warmth from the sweet potatoes, acidity from the lime, sweetness from caramelized onions and a delicious bacony crunch in every bite. Editing pics for a blog post. 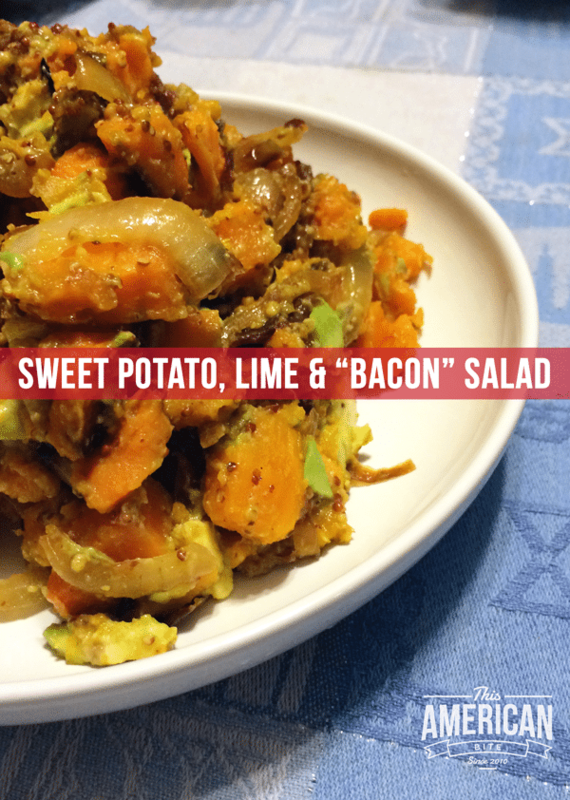 Sweet potato salad with hints of lime and dijon mustard. Caramelized onion and #kosher #bacon make this dish come alive. This has become my favorite #paleo dinner. Who doesn’t love a kosher bacony crunch in every bite? Put the oven on at 375 to pre-heat and line a cookie sheet with wax paper or aluminum foil. Lay the KOL-bacon on the cookie seet and bake for 15-20 minutes until it’s crisp and delicious. Resist the urge to eat some, let it cool and chop. Mince the garlic and slice the onion (I prefer to use red onion for this recipe) and sauté until caramelized. Cut the sweet potato into 1 inch cubes and bake in the oven for 30-45 minutes, until soft and starting to brown. Peel and dice the avocado, mix with the dijon mustard. Once the sweet potato is cooked, combine all the ingredients, squeeze the limes and toss gently.